Encompassing the green heights of the Jebel Akhdar, the fortresses and minarets of the valley floor and the serene fjords of Musandam, Oman will charm your socks off. A strong national identity and local pride translates to a great welcome for visitors, and whether you choose to dune-bash in the Rub Al Khali desert, wander the shady date plantations surrounding a jumbled hill village or explore one of the many Wadis, the variety on offer in this laid back country makes it ideal for culture buffs, divers, hikers, wildlife-watchers, beach bums and shoppers alike. There are many wonderful experiences to be had in this desert-clad land. For further inspiration take a look at the trip ideas put together by our trusted local experts at the foot of this page, but in the meantime here are our top three things to do in Oman. Picture a quintessential Middle Eastern souk and you’ll no doubt imagine warrens of narrow alleys scented with frankincense and brimming with little shops selling exotic trinkets and handicrafts. You have just conjured up the delights of Muttrah souk in Muscat, the most atmospheric and extensive in Oman. Veer off the main thoroughfare and poke about in the back lanes to bag yourself a more authentic experience and the best value. 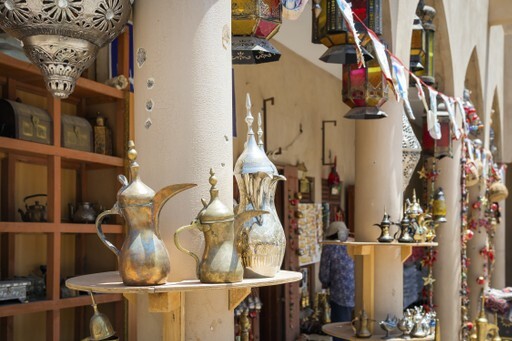 Look for Omani rosewater, jewellery, spices, incense, textiles and furniture. Wadis are seasonal watercourses that have sliced deep canyons into the rocky terrain. Some are small and peaceful, some are imposingly large, but all offer a cool and shady escape from the heat in scenic surroundings. 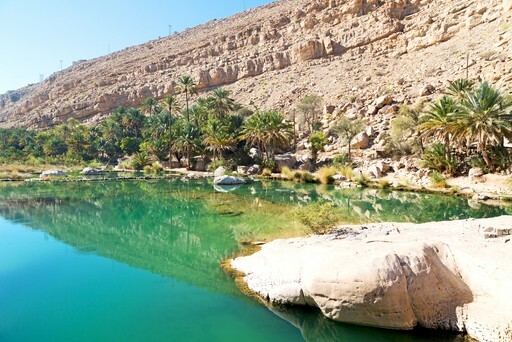 Trek through the abandoned village of Sap Bani Khamis in Oman’s Grand Canyon, swim in the turquoise pools, or zip wire 100m above Snake Canyon at Wadi Bani Awf... these are just some of the activities available in Oman’s many Wadis. A total of almost 500 species of birds have been recorded in Oman, which sits at the crossroads of migration routes between Africa, Asia and Europe. Of those species only around 80 are permanent residents, but even so the birding is generally good. Flocks of migratory birds can be spotted in the verdant, marshy region of Salalah, and among the lagoons of the coast. 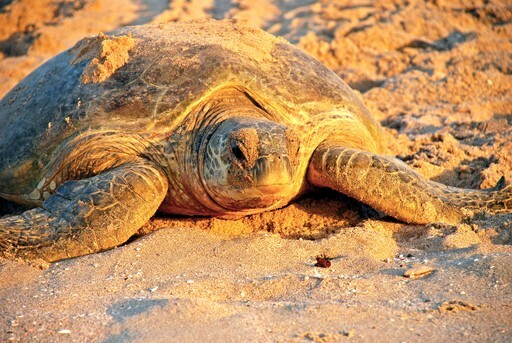 Thousands of turtles come to lay their eggs on Oman's beaches. See them at Ras Al Jinz between July and October. October to May is the ideal period to visit Oman, for glorious sunshine, negligible rainfall and tolerable heat. Peak season runs from November to February. From June-August it is extremely hot in the north, with refreshing monsoons in the south, greening the desert and cooling the ferocious midsummer heat to a manageable level. Note that during Ramadan many businesses will operate reduced opening times and eating in public is not allowed. 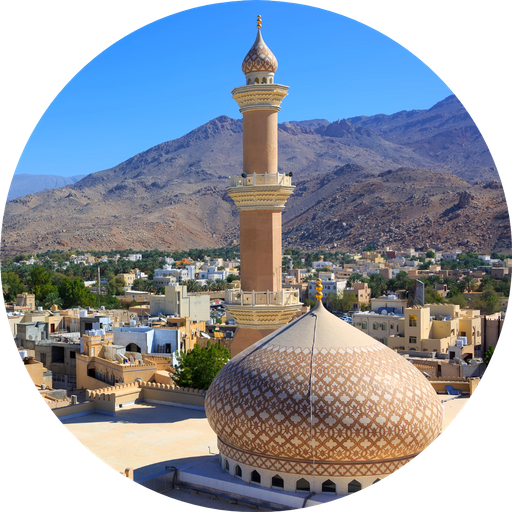 Create your bespoke holiday to Oman!